It's working great for me so far. I tried it on a laptop, now a desktop. I didn't make it, nor do I know the fella who did. Let me know what you think or let him know. Also, I tried this batch file, but it seemed to not work for me. Then again, I didn't read the instructions well. Also, I had automatic updates turned on. Woe is me. All Windows 7 automatic updates disabled at home and all computers I manage at work now. If your a systems admin who needs to work on a hundred computers though, maybe you can make the batch file here work for you. I read the code in it when I downloaded it, it is what he says it is. Dunno why it didn't work for me, but I found the GWX Stopper linked first in this article. With it, GWX stopped, so I'm just going to continue using it. 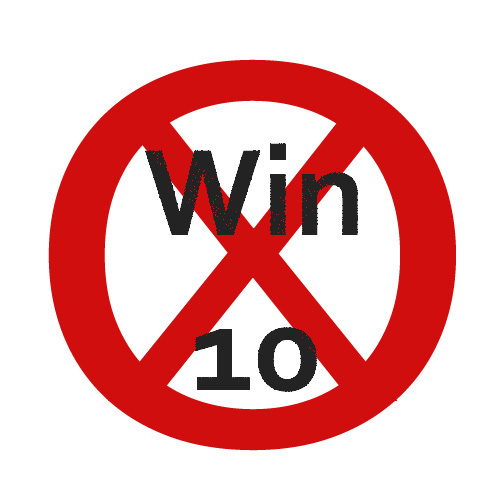 This is not to say I think windows 10 is a bad operating system. It's just to say I DON'T WANT IT TO REPLACE WINDOWS 7 ON ALL OF MY COMPUTERS! I've read about performance increases and decreases and with the amount of software I have to manage, it's not even close to worth the risk of incompatibility. One day I'll build a new Win X system, but until then I'm happy to have my machines working as is (key word; working). Also, I've read about tons of spyware it comes with (to improve features, but none-the-less to give Microsoft information). There are ways to remove it (here's a link with some info) but you may want to research yourself, because things are always changing. Thankfull Microsoft makes opting out of much of the spyware rather straight-forward which keeps me hopeful of Microsoft. Good luck venturing forth into the next OS Frontier! See you there, eventually! Hosted by HostNine This page was created in 0.00301599502563 seconds.